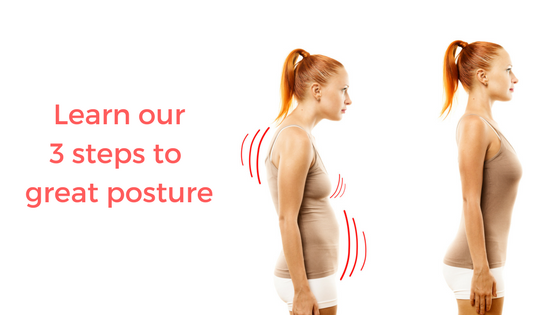 look and feel great this summer with perfect posture! Posture is the first thing people notice when they first see you and it says a lot about your mood, health and potential future injuries or pain. Sitting and standing with proper postural alignment will allow one to work more efficiently with less fatigue and strain on your body's ligaments and muscles. - Explanation of our 3 step process to great posture. How to achieve it and how to maintain it for life! - A computerised assessment. This allows for an objective pre testing measure of your current postural positioning. - A Static EMG, an non invasive test to show muscle balance and energy used while in ideal posture. - Functional Muscle and Neurological testing to assess imbalances which can be the cause of your postural distortions.